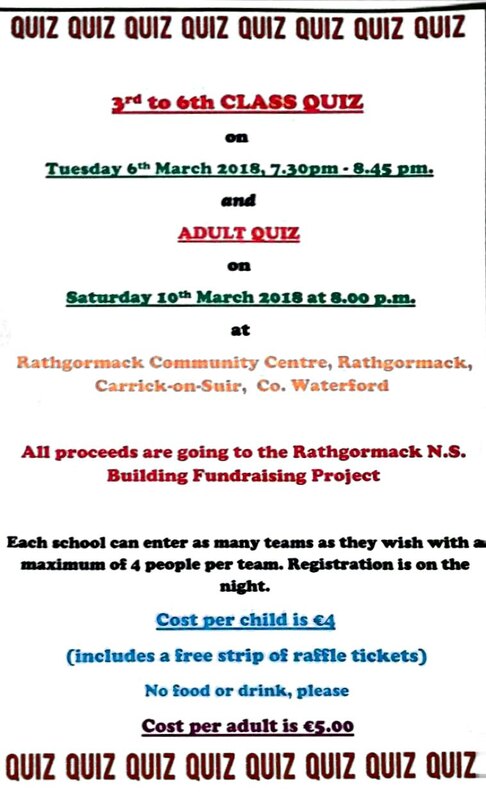 Rathgormack National School: School quiz Tuesday 6th March. 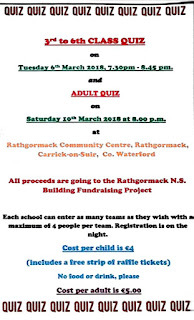 Fundraising quiz on Tuesday night 6th March in aid of Rathgormack National School. 7.30 pm in Rathgormack Community Centre.